Once again Bianca has her hand in MY food. It's only just hit the table too. 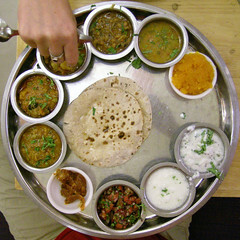 This is a Thali and it cost 3 australian dollars and you get refills too! Thalis are standard tucker as we travel and they are normally very good.